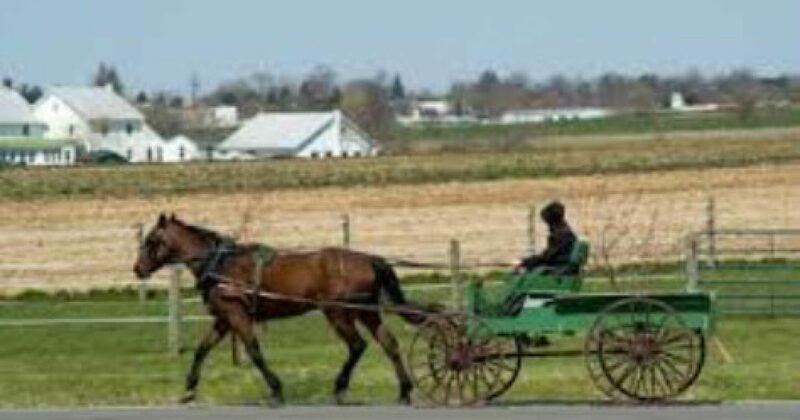 A story you most likely will not read in the liberal media is the case of Andrew Hertzler, an Amish man who lives in Lancaster County, Pennsylvania. He claims that he is unable to purchase a firearm for hunting because he does not have a photo ID. He does not have a photo ID because the Amish do not believe in having their picture taken and stored, and of course his life is his religion. Hertzler took his case to his Senator, Pat Toomey, who in turn passed it on to the Bureau of Alcohol, Tobacco, Firearms, and Explosives, who stated to Mr. Hertzler that there were no exceptions to this federal law. So when it comes to the rights of the Amish, the law is the law. Too bad Mr. Hertzler is not an illegal, or he might very well get that smokewagon. But he’s Amish, so no one on the left is going to jump to the defense. What if Hertzler gets that gun and starts acting like a black teen? Goes all “King Kong up in here,” and horsejacks the other Amish in that area? That wouldn’t look good, now would it. Stupid Amish don’t know how to get their guns. Amish, holding on to their belief in God and deeply religious views; you can’t let those suckers anywhere near a firearm or mayhem may insue. And it didn’t go unnoticed on this Midwestern girl that Amish man Hertzler has explored all the legal routes in attempting to get his gun. He explained the religious implications, but to no avail. Too bad he’s not Muslim. I bet if he were Muslim, the anti-gun Leftist would understand his plight. The religious persecution of Muslims, well there’s a reason to allow the man his “religious” exemption, his gun equivalent of foot baths and halal food. And like the hijab, who would even know who he was, if he were a Muslim woman wearing that garb. Perhaps Hertzler should pull a Bruce Jenner, become a transsexual Muslim woman, then go back and start over. That would certainly teach that racist, misogynist, xenophobe gun shop owner a thing or two. The Left would picket his gun shop, shut him down. Obama would make a speech on the carcass of his dead body, and #BLM, CAIR, and Hillary Clinton would spit on his grave. Then Sheniqua Hertzler can have her gun.